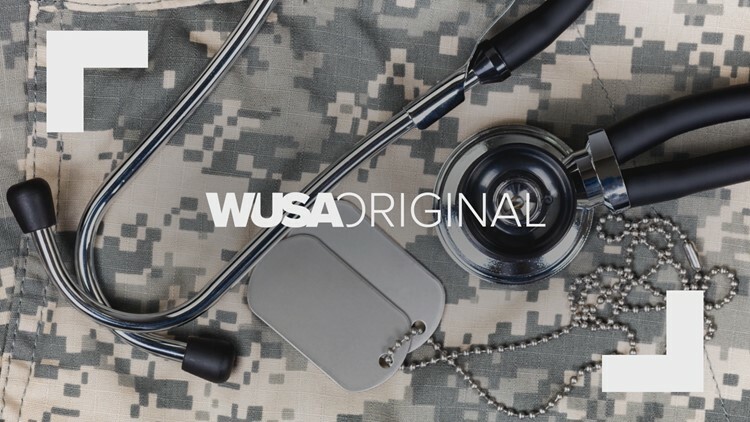 WASHINGTON (WUSA9) — If you served in the United States military or traveled to a part of the world that's prone to malaria, you may have been prescribed a small white pill called Mefloquine, sold under the brand name, Lariam. An Army veteran named Sean, who asked us to withhold his last name, said he took mefloquine while serving in Afghanistan from 2003 to 2004. He was 21 years old and didn't consider questioning orders. What Sean didn't expect was that weekly dosage over the course of his deployment wouldn't show up in his medical records. He said he's "100% sure" he took mefloquine. That disconnect has left him frustrated and angry when he's sought VA benefits related to the depression, anxiety, insomnia and vertigo that plague his life now, at the age of 35. "I’ve resubmitted claims multiple times to the VA and they’re saying, 'Oh, well, it’s not in your medical record,' said Sean. "We attempted to give folks the best possible agent to protect them to the highest degree. To do any less would have done them a disservice," said Col. Andrew Wiesen, the Director of Preventive Health for the Office of the Deputy Assistant Secretary of Defense for Health Affairs. Col. Wiesen acknowledged though that the Department of Defense protocol mandates all medications to be logged into a service member's records. "If that did in fact occur that was not within the DOD policy and it should not have occurred," he said. "Before 2012, few people got it in their medical records. It was just handed out like candy," said Cdr. Manofsky, who did mission planning for Special Forces in Baghdad and Southern Iraq. "I didn’t get a prescription, I had no pre-screenings, I had no warning," he said. Like many veterans, there was no evidence in his records that he took the drug. "I was ordered to take a mefloquine pill every single day," said Staff Sgt. Marty Brown, an Army veteran whose deployments included tours in Afghanistan and Iraq. No one informed him that the drug was supposed to be taken weekly, not daily. And like so many others we interviewed, not a single pill was reflected in his medical records. Sgt. Brown said he's suffered permanent, debilitating injuries as a result. In 2004, even the VA warned of mefloquine's possible long-term health effects. Yet the drug was still dispensed for nearly a decade until the Food and Drug Administration issued a black box warning in 2013. After that, the military was supposed to issue mefloquine only as a last resort, but we found service members who apparently slipped through the cracks. "They just handed me a bottle and said hey, if you have dreams, just push through 'em," said Sergeant First Class Sheryll Lander, who deployed to Afghanistan in 2013 and took mefloquine from March through December of that year. The FDA issued its black box warning in July of 2013. Sgt. Lander said there was no prescription and her name wasn't on the bottle of small white pills. "I just want to let my brothers and sisters know that they’re not alone. To not give up. We’ve got to be stronger than the side effects and the damage," she said. Many service members believe the high suicide rate among veterans may be linked to the use of this drug. If they were misdiagnosed with PTSD or traumatic brain injury, there's widespread concern that veterans didn't receive proper treatment. It's believed that the military ordered more than 150,000 service men and women to take the controversial drug since the 1980s, although the numbers are difficult if not impossible to quantify because of potential lapses in record-keeping. Late last year, the VA awarded its first--and only--100% permanent and total disability rating to a Marine Corps veteran who served in Somalia. VA doctors attributed all 15 of his psychiatric and physical symptoms to mefloquine. That rating ensured he'll get full benefits for his severe, service-related injuries. "We’re looking for answers in solid science. So that it’s not the flavor of the week or a rush of emotion, but that it’s rooted in good science," said Dr. Ralph Erickson, Chief Consultant for Post-Deployment Health Services at the U.S. Department of Veterans Affairs. Since the FDA's black box warning of 2013, the Department of Defense rarely prescribed mefloquine. But multiple sources told us a replacment drug called Tafenoquine is being fast-tracked for approval by the FDA. That has prompted an outcry from as far away as Australia, where it was tested on that nation's military. Many Australian veterans said tafenoquine proved to be as harmful, if not worse than mefloquine. If you've taken mefloquine and believe you suffered psychiatric or physical side effects as a result, we'd like to hear from you. Please email Andrea McCarren and put "mefloquine" in the subject line. Let us know when and where you took the drug, for how long, under what circumstances and whether you experienced any side effects. Thank you.